Bistrot du Coin gets both the French country food and bustling cafe atmosphere right at their restaurant. After living with a French roommate for a few months, I've come to the realization that the French don't mess around with sub-par food. I have yet to see her use the microwave, and I'm thoroughly convinced that food advertised as "easy" anything will never find its way into her side of the pantry. So when she praised Bistrot du Coin's French country food, I knew it must not only be delicious, but up to her stringent French standards. I, or to give credit where credit is due, she, was right. Bistrot du Coin does a number of things right, from the overall ambiance to the food. Upon first impression, the place is loud and crowded. While this may seem like a negative, the din of dining customers has the opposite effect. The noise level and boisterous crowd instills the place with the distinctive cafe vibe that other self-proclaimed cafes try, unsuccessfully, to replicate. The restaurant is a convivial gathering place all nights of the week, with the crowds gathering early and staying late. You may have to shout over the buzz of conversation when ordering your meal. You can try an impress the French waiters with your command of the language (not likely), or just rely on the English translations below each menu item. 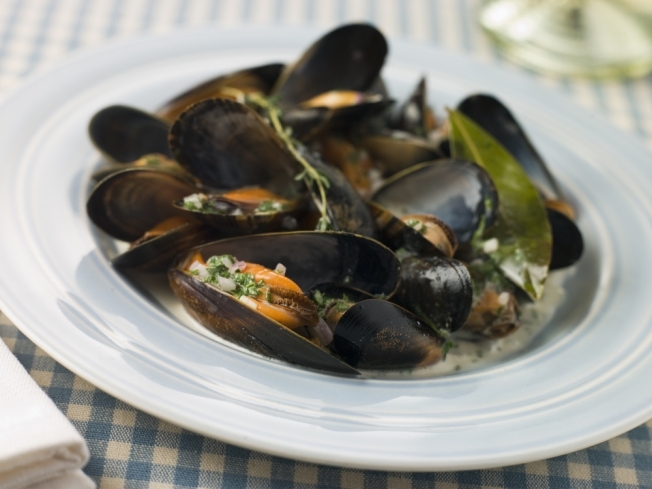 The mussels are a crowd favorite, and prepared in a number of different and equally delicious ways. You can also choose from soups and salad, open-faced sandwiches or specially prepared entrees. And of course, you can get escargot, foie gras and pate, if you're looking to nosh on something stereotypically French. Finish off your meal with the homemade chocolate mousse. Trust me, it's not a dessert you want to miss, but it may be one you want to share. 1738 Connecticut Ave. NW, Washington, D.C.